You would think that by now, Hollywood would have picked up on the idea that diversity in media is essential—I mean, even from an economic perspective, why wouldn’t you want to appeal to a larger audience? Hint: it has to do with everyone being expected to identify with the experiences of white men. But I digress. 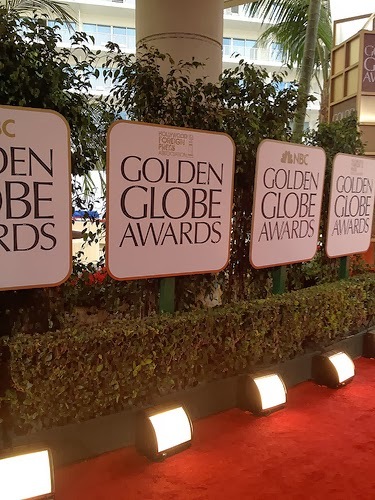 This past week’s white washed Golden Globes ceremony demonstrated that there is still a long way to go regarding representation in popular culture. The lack of diversity not just among the winners but also among the nominated sent a strong signal to everyone watching: Hollywood is still an area dominated by white men. For starters, why are many awards still separated between men and women as opposed to say, by the genre of the film or television show? Antiquated traditions like this reinforce a completely unnecessary binary between men and women while hinting subtly that if the gendered categories were combined, women could never compete with their men counterparts. Luckily, stunning and talented actors of color like Lupita N’yongo, Gabourey Sidibe, Kerry Washington, and Rashida Jones were in attendance to give us all a little bit of hope, but even their glamorousness couldn’t completely break up the monotonous reiteration of patriarchal power structures that was the Golden Globes. The problem also goes beyond actors. I also have to ask: where were the women directors and women screenwriters? The complete absence of women in these categories is a clear indicator that women’s stories are not being told from their perspectives in the films that shape our popular culture. I refuse to accept the proposition that women simply aren’t as good at directing, screenwriting, and acting as men—thus, it is clear that we need to take a critical look at the systems of power that are preventing women’s talents and achievements from being recognized to the same degree as men’s. Representation and diversity are essential not only in film, but also in feminism and the law. Ideally, both feminism and the law work to counter oppression and unjust power structures while respecting the unique identities of people throughout the world. Incorporating class, sexuality, disability, age, nationhood, race, and gender in both feminist and legal analysis should not be just a paradigm practiced by some, but a requirement for everyone. We should strive to do the same in what we consider the best of our cinema and television, which is what the Golden Globes is claiming to represent. Finally, perhaps like feminist and legal analysis, award shows may seem boring and irrelevant to some. However, I would argue that this is not the case; award shows and certain aspect of the law continue to support the marginalization of women and people of color in our society, reflecting the privileges of certain identities while silencing others. Countering oppression requires an active choice to support increased representation for women and people of color in places of power and visibility in our society today. Hanna Giuntini is an intern at Legal Voice and a senior at the University of Washington where she is majoring in Comparative History of Ideas with minors in Gender, Women and Sexuality Studies and Philosophy. She has recently applied to law school and hopes to start her legal education in the fall.